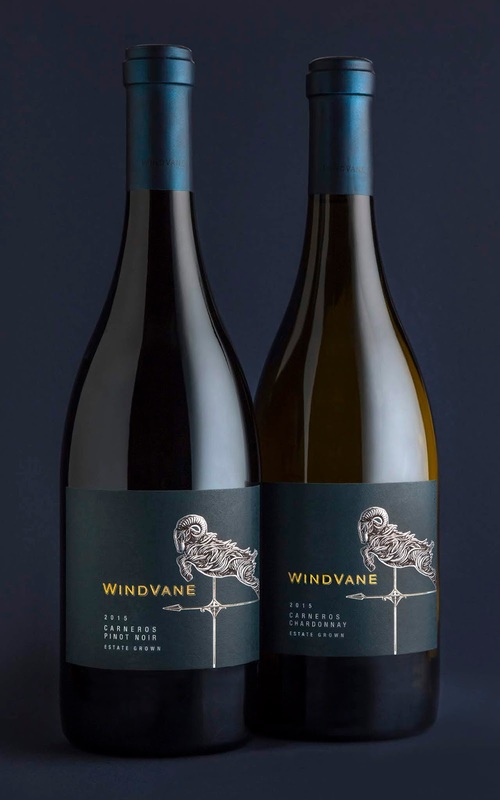 The Carneros wine growing region is known for its chilly winds and fog – conditions that produce world class Pinot Noir and Chardonnay. “Carneros” means Ram in Spanish. 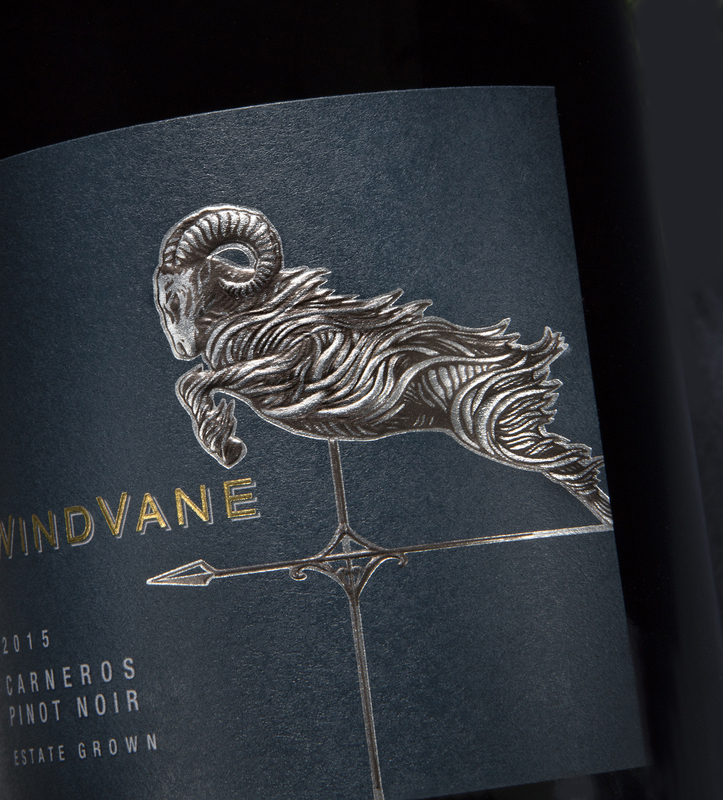 We created a ram weathervane illustration, his long fur blowing in the wind, to tell the story of this brand’s terroir. 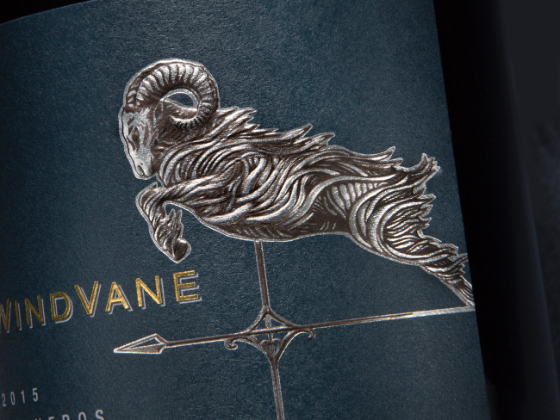 A rich teal label color and heavily embossed metallic ram introduce the core tier wines. 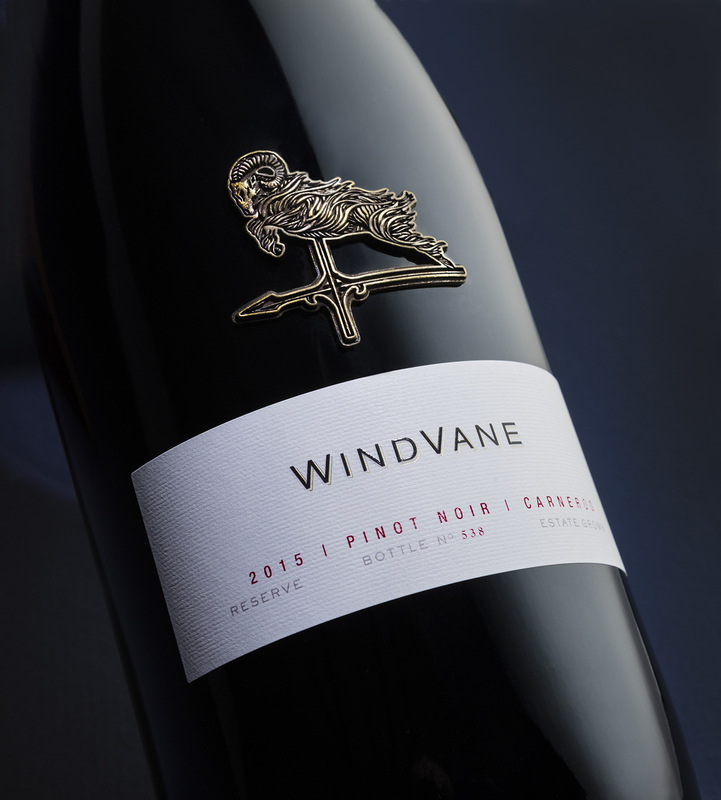 For the reserve wines, we commissioned a cast metal embellishment, and paired it with a classic cream label featuring bottle numbering.